Recently, Google has moved Google Chrome 8 into a stable release list and announced the availability of version 8.0.552.215. According to the company, this release fixes more than 800 bugs (13 are security related), includes a sandboxed PDF viewer, support for the forthcoming Chrome Web Apps store and experimental Flags menu feature. 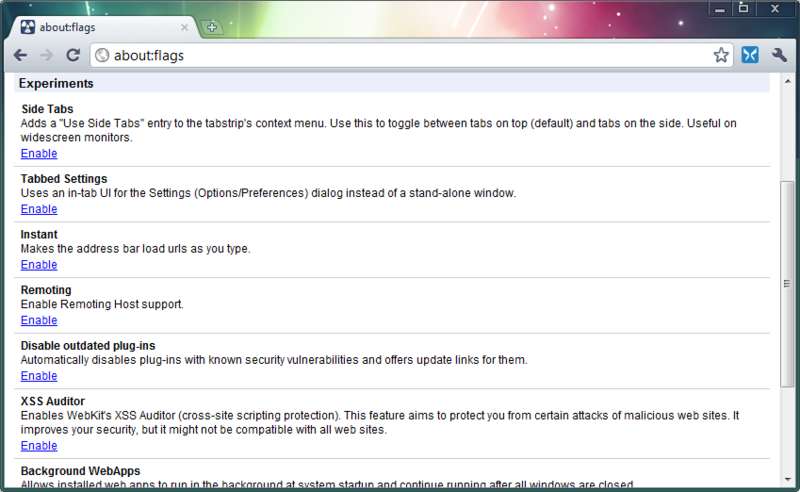 Allows you to tweak a setting or two (check the screenshot above). Bookmark manager opens 2 tabs with the mouse wheel.